3840 was sold new on Burrell's stand at the Royal Show in Darlington in July 1920 to Wilmot family of Glasgow, a very senior family in the Scottish Showland scene. The Burrell records note that the engine was supplied with, "Estd. 1863. John Wilmot’s Touring Entertainments" on the canopy sides. 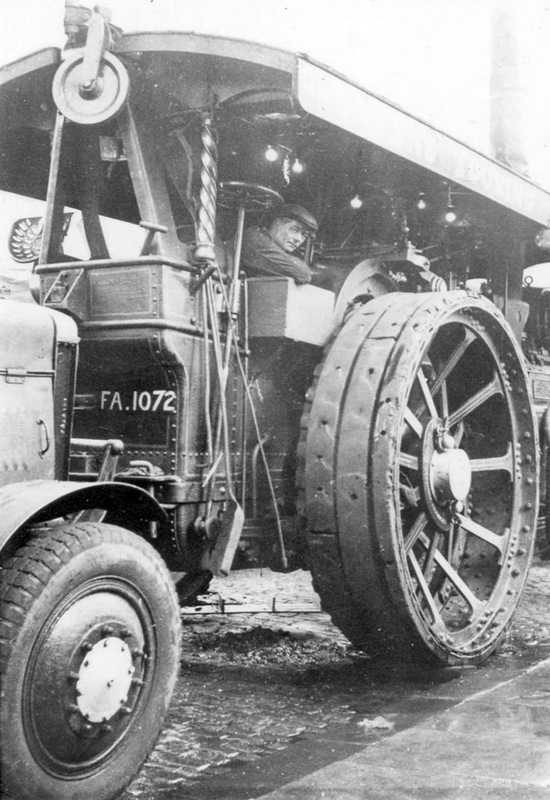 The engine was virtually never used by Wilmot's however and a year after delivery was sold to John Green of Preston, who also had showland interests in Scotland. 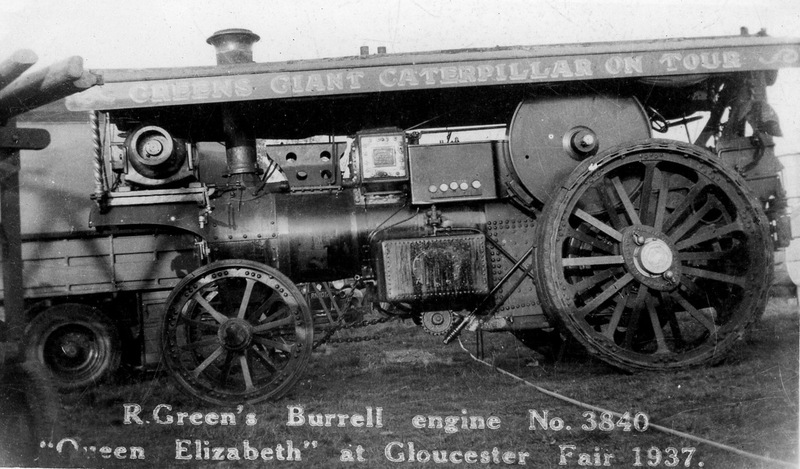 The engine was a bit of an oddity amongst scenic engines produced by Burrell, it carried no name initially, no brass fittings, no feed pump (2 injectors). It was produced during the time Charles Burrell & Sons were part of the AGE concern and like some other engines built at this time it carried brass AGE centres to the rear wheel hubs. It did carry auxiliary dynamo bracket and crane fittings in common with other scenics, although in both of these pictures it carries no auxiliary dynamo which was not particularly uncommon for scenic engines. Like nearly all Scots showmans engines it didn't make it into preservation and was cut up during the 1940's. do you know where I can get a diagram of the workings of a steam traction engine? burrel show mans engine is built very greatly!!! The technology at that time is developing and today we have a very advanced technology!! queen elizabeth is very lucky to have travelled in that tractor!! The showmans engine that we all are talking about is the same thing that we've seen on essay writing perfect help. I think that we need to get some more details from it and need to get help. People always want to stay updated with the new fashion. On the onset of new fashion people threw away. Anyways this blog is doing a great effort to bring the latest updates to their readers. The knowledge base is important for a device. The knowledge base is capable of storing the details of Easter Sales 2019 USA. The details are not familiar to everyone. The detailed description is helpful for a better understanding of the knowledge base for everyone.